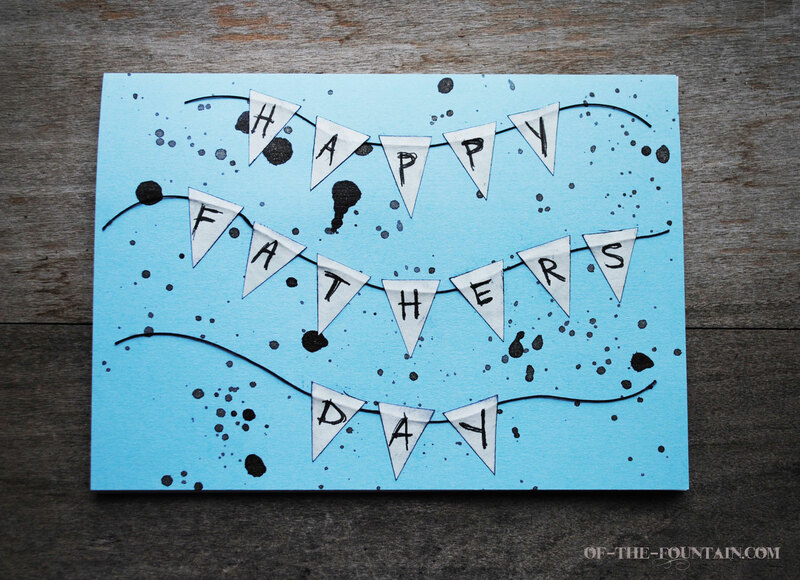 I am definitely one who prefers to make a card instead of buying one. I'd rather just not give a card than buy one at the store. My need to create my own greeting cards stems from my late grandmother's influence on my crafting "career". As far back as I can remember she would make cards for everyone in our family for their birthdays, Christmas, etc. As a youngling, I would sit on her bed with her and make my own cards. She had more pure creative talent in her pinky finger than I have in my whole body, so I was lucky to have her as an onsite consultant to assist in my card-making endeavors. 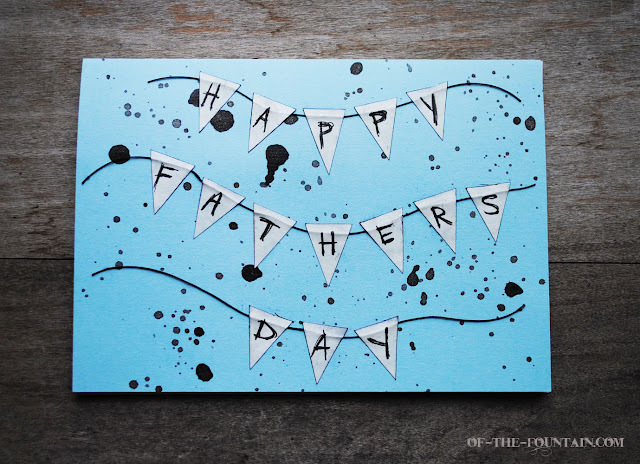 This past Father's Day I made my dear 'ole Dad this "bunting"-inspired banner card. I recently discovered mini buntings and am kind of obsessed with them. 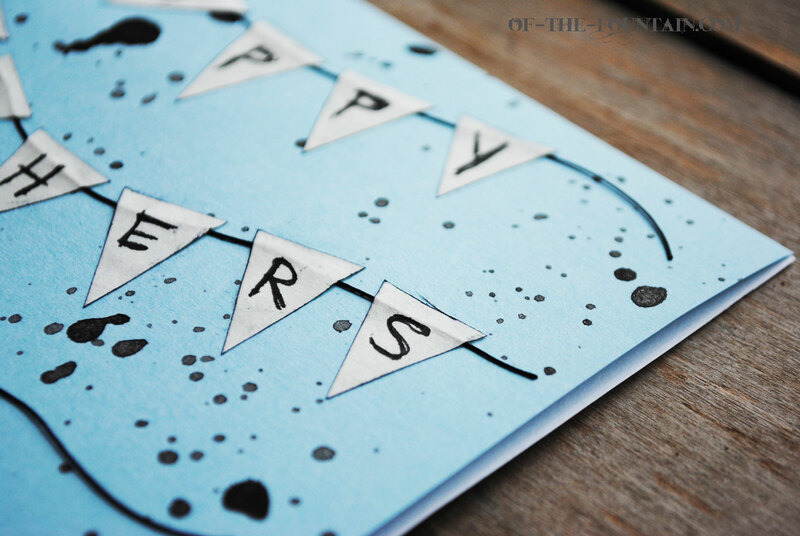 I was on a roll after I made this, so I also made a "Happy Birthday" banner card for my Mom and also for my Step-Mom. I was recently involved in a very large move and I only packed the absolute bare necessities when it came to my art supplies. Therefore, I really don't have that much to work with, which I suppose is good if you'd like to recreate this card. 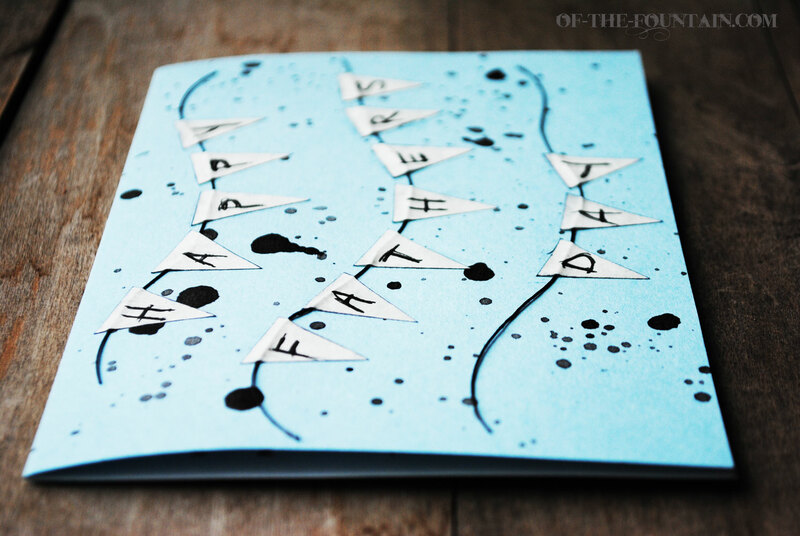 To begin, I watered down a little black paint in a bowl, and then used my fingers to flick the paint all over the card. I then cut little triangles out of the parchment paper and rubbed the ink pad along the edges to give them a little more detail. Using the gel pen I wrote a letter on each triangle. 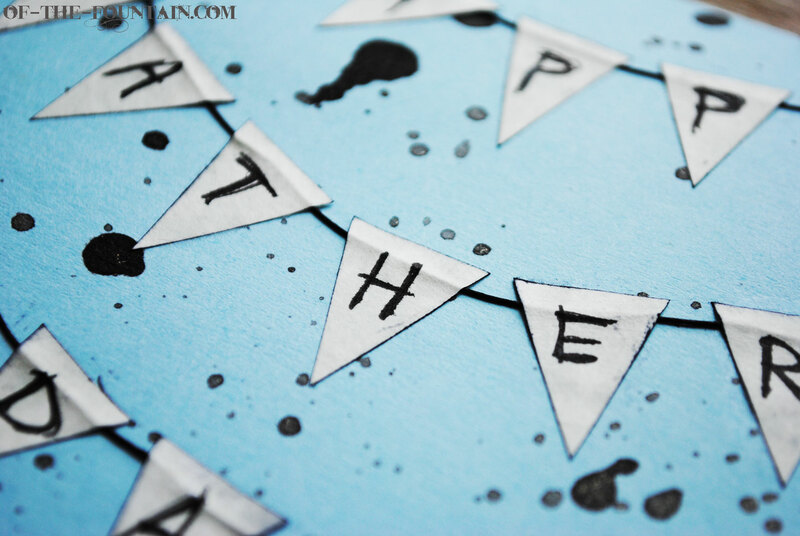 Lastly, I glued the lil' triangles onto the card, making sure that the black thread made it underneath so the pennants had something to hang on.